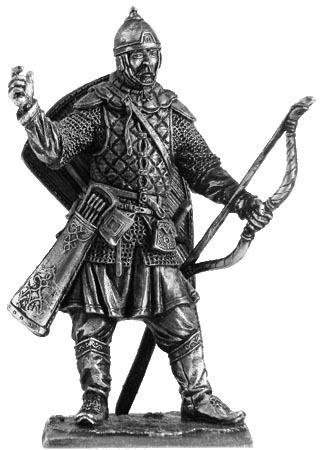 Kulikov Battle (September 8, 1380) - one of the major events of Russian medieval history. The victory over the army of Khan Mamai helped consolidate the unity of the Russian principalities and unite them under the authority of Moscow in a single state. 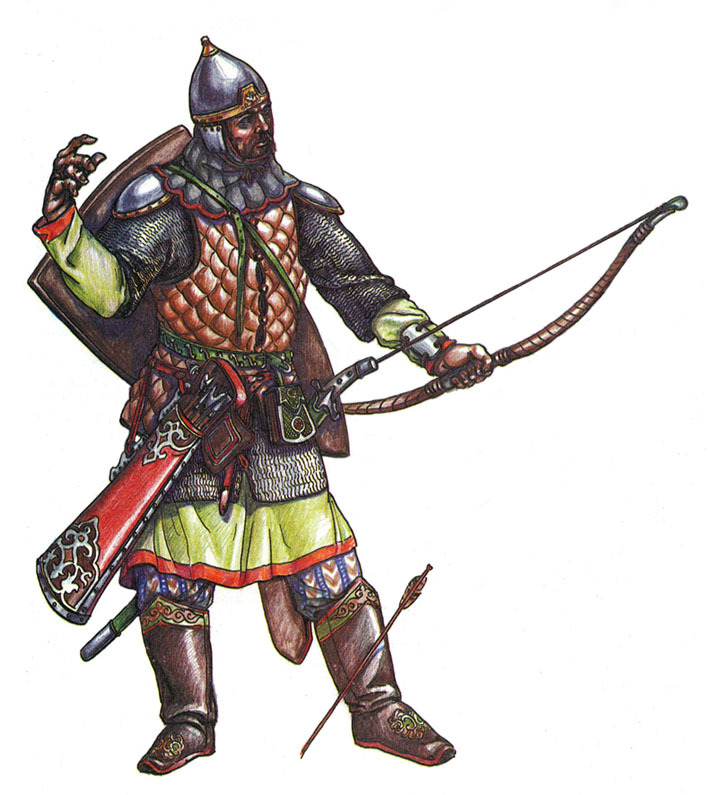 Russian bow was a composite and consisted of arm, shoulder and horns, glued layers of wood, horn and boiled tendons. After gluing the bow wrapped bark tape, cooked in a drying oil. Store onions in a leather case for a bow. Arrows with faceted or flat tip placed in a leather or birch-bark quiver steppe type - in the form of a long narrow box. 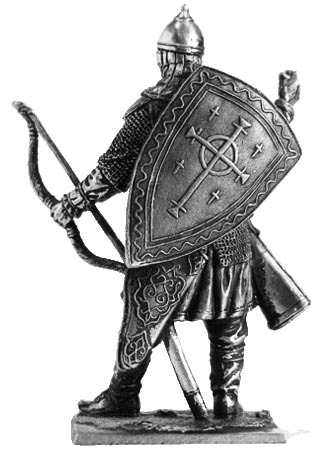 Case for a bow and quiver are usually decorated with designs or applique color of skin. Besides archery arrows armed with a sword Horde production. Triangular shield, thrown on the belt behind his back, made of wooden planks and covered with skin. Traditional spheroconical helmet with copper finish is quilted aventail and steel-plate headphones. On top of chain mail shirt wearing linen quilted armor with crotch metal shoulders. Notify me of updates to Russian archer, 14-15 cc.